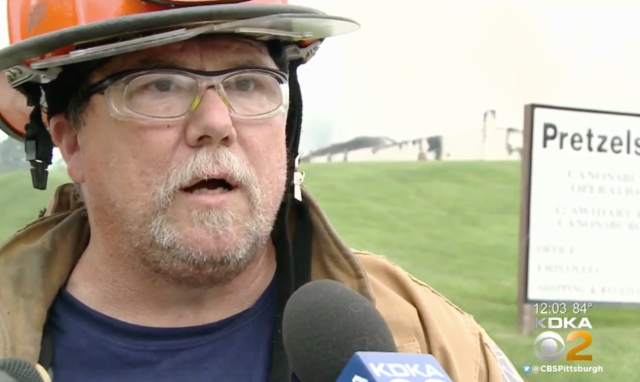 A white Pennsylvania volunteer fire chief has reportedly resigned after calling the Pittsburgh Steelers head coach a "no good n****r" over the black coach's decision to skip the national anthem on Sunday. Volunteer Fire Chief Paul Smith of the Muse Fire Department in Cecil Township confirmed his abrupt departure to the local Observer-Reporter on Tuesday, two days after lashing out on Facebook about coach Mike Tomlin's decision to stay with his players in the locker room during the national anthem. He told WPXI News that he was "frustrated and angry" over Tomlin's decision, prompting the racist remark. The majority of Tomlin's team took part in the gameday demonstration, which followed President Donald Trump's pronouncement that the National Football League owners should fire any player who refuses to stand during the anthem. Athletes have been kneeling during the anthem or staying off the field while it's played to protest social injustices, including racial divides and police brutality. Trump has accused those individuals of insulting the U.S. flag. After Trump's comments, most NFL players have joined in shows of unity for free speech rights by taking a knee, staying off the field or linking arms with teammates and coaches during the national anthem. Tomlin, speaking to CBS News of his team's decision before Sunday's game, said, "We're not going to play politics."